The Amazing Fantastics Episode 1 will launch on Steam this summer! Episode 1 will chronicle Singe's arrival in Utopia and see him and his team of super-powered allies go head-to-head with the Caprelli Crime Family. Each episode of The Amazing Fantastics will see the gang facing off against new villains. The Amazing Fantastics was born out of a love for Final Fantasy, DC, and Marvel, and we can't wait to share the opening chapter of this superhero RPG saga with you guys. 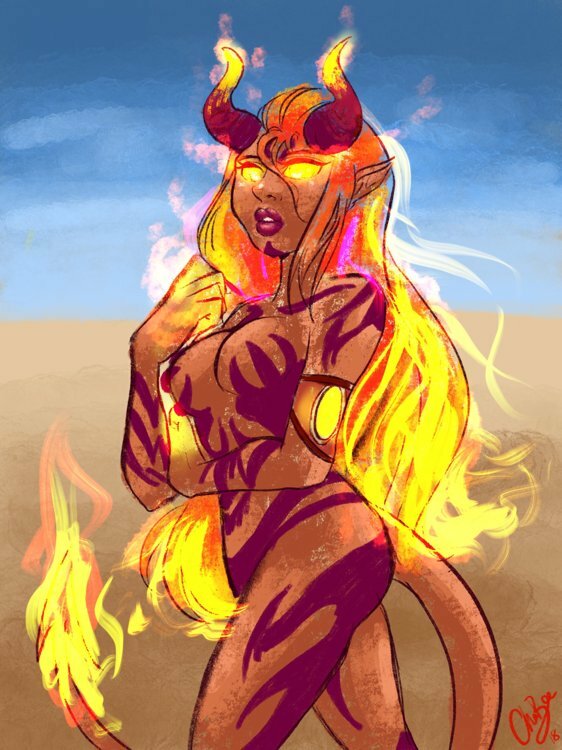 There will be plenty of new characters to see, but of all the heroes revealed so far Hellfire seems to be an early fan favorite. Our very first piece of fan art was even of her! Credits to ChaiBee. 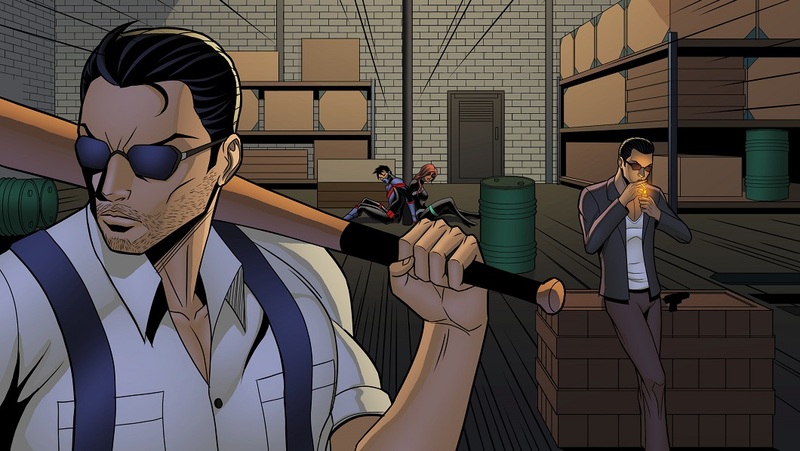 Fight your way through mob boss Johnny Caprelli's hideout. I have finished the demo and so far its good. Things that could be better are repetitive background music and a better UI during battle. The combat system with individual speed is good, some moves that increase the speed of the character (so that they make 2 turns while the enemy manage one) would be great. What are some superpowers you'd like to see in The Amazing Fantastics? The usual flight, super strength, super speed, acrobatics, tech manipulation are gonna be present I hope. But some uncommon powers like gravity manipulation, premonition, photokinesis, creating portals, etc. Gravity manipulation and the power to create portals are great ideas. I'm adding them to my list. I have a soft spot for anything super hero based so if you need any help with the game (non-tech) feel free to contact me. I will be more than happy to help.